Hewlett-Packard has issued a voluntary recall on more than six million notebook power cables because they may pose a risk of a fire and burn hazard to customers. Specifically, around 5.6 million cables in the U.S. and 446,000 units in Canada are part of the recall. The faulty AC power cords were distributed with HP and Compaq notebooks and mini notebooks as well as AC power cables bundled with accessories like docking stations sold from September 2010 through June 2012. If you think your cable might be affected, HP recommends you should stop using it immediately. HP says potentially affected power cords can be identified by a molded mark that reads "LS-15" on the adapter end of the cord. 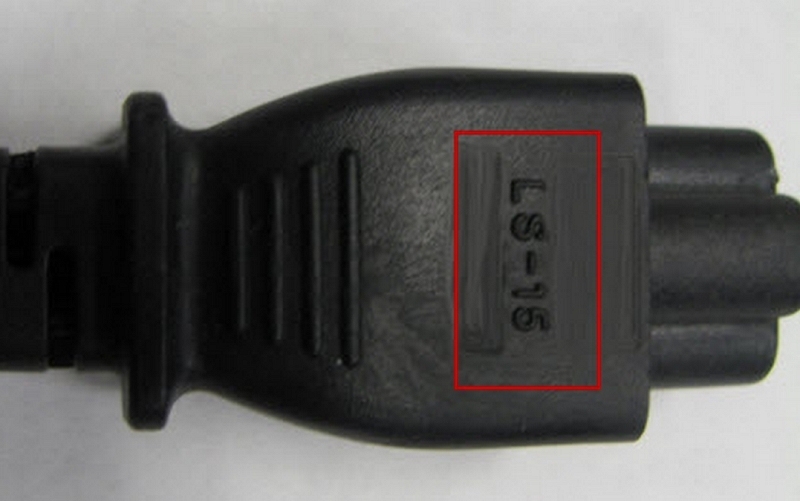 That said, not all power cords with the "LS-15" insignia are affected. If your AC power cable does include the above mentioned marking, HP encourages users to enter their notebook product name, serial number and date code on their recall page to determine whether or not their cable is affected by the recall. In the event you have a faulty cable, HP will replace it at no cost either by completing the form on the aforementioned website or by calling customer service. According to the U.S. Consumer Product Safety Commission, HP has received 29 reports of cords overheating and melting or charring. This has resulted in 13 claims of minor property damage and two claims of minor burns.